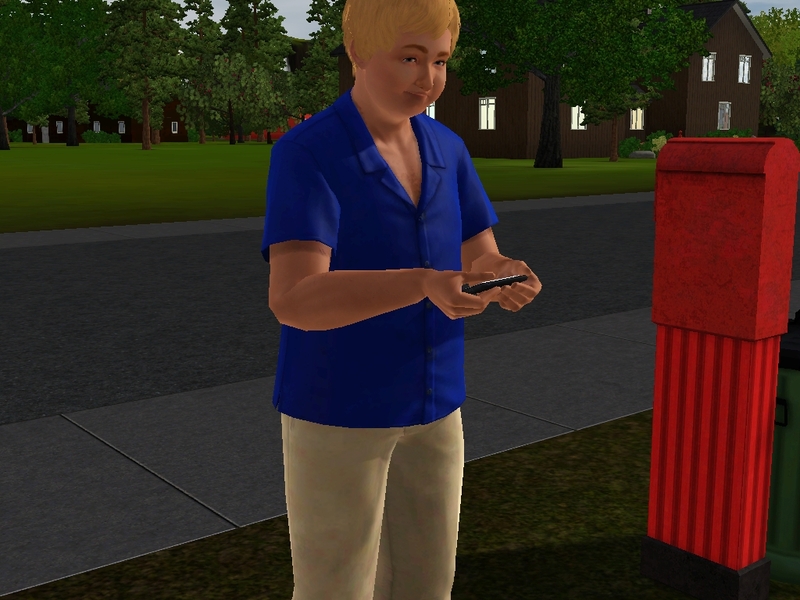 He’s a randomized Sim – I fixed his hair (it was awful) and removed his Grumpy trait and added Clumsy. He’s an adorable, Socially Awkward, Outdoor Hating, Family Oriented Sim, who enjoys falling down, and failing miserably at Flirting. He likes Pop Music (he would), waffles (just look at him!) and the color blue. He’s my founding Sim, who will lead the way to an idiot-filled alphabetcy. That’s right. This noob is taking on an ISBI-Alphabetcy blog. Which, based on my past failures is guaranteed to be a delightful endeavor of insanity and chaos. Let’s proceed shall we? 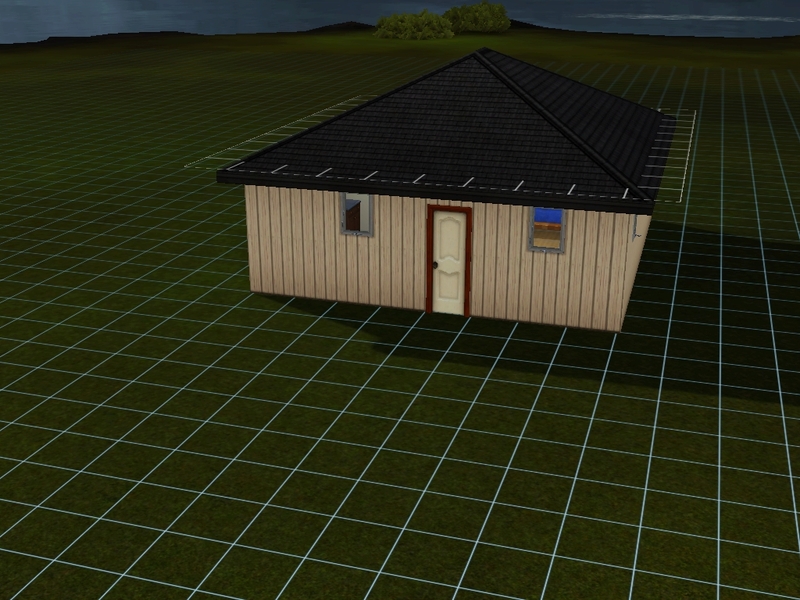 We bought a huge lot, ocean front (no fancy moodlet… blah) and had enough left to build this lovely little shack. Since Abe hates the outdoors, it’s a good thing too. Abe lives in Aurora Skies, which I loved for about five minutes. I mean come on, it has red mail boxes! But good ol’ Abe had not much to do, so I thought we’d look for the library. I couldn’t find the library. I blamed myself, searched all over, sought therapy and googled where the dang library is. Well, the icon is just a park bench, very misleading. But then I found it, only to discover it doesn’t give the “fast learning” moodlet, which defeats the entire purpose of a library… at least until you can afford a book case… which good ol’ Abe, cannot. Why’d we seek the library, you say? 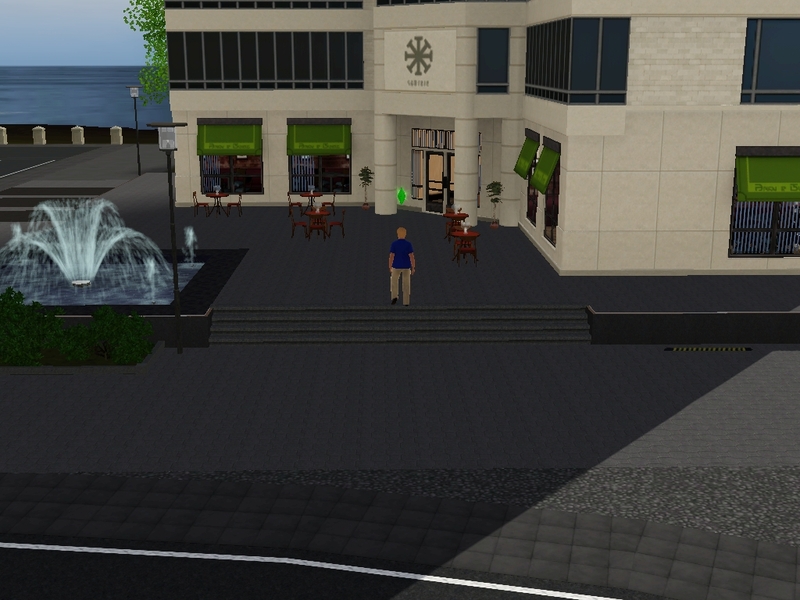 This fine location is a restaurant, as well as both the Business & Journalism career locations. I hereby started falling out of love with Aurora Skies. But it’s pretty! Anyhoo, Abe met his boss, who had a similar trait notification come up. I have no idea what that is, since we haven’t had a chance to chat, but she has the very unfortunate name of “Gundrun Beaker”. She’s pretty though, so we’ll see. Abe instantly rolled a want to text her, so I happily obliged. Then we talked on the phone with her. After failing to find a real library, but studying enough cooking skill to At The Place That Looks Like a Library to hopefully not burn down the house, and use a toilet, I sent Abe home to meet the rest of his needs. 1000 interweb points if you notice what’s missing for my poor, stinky Abraham. 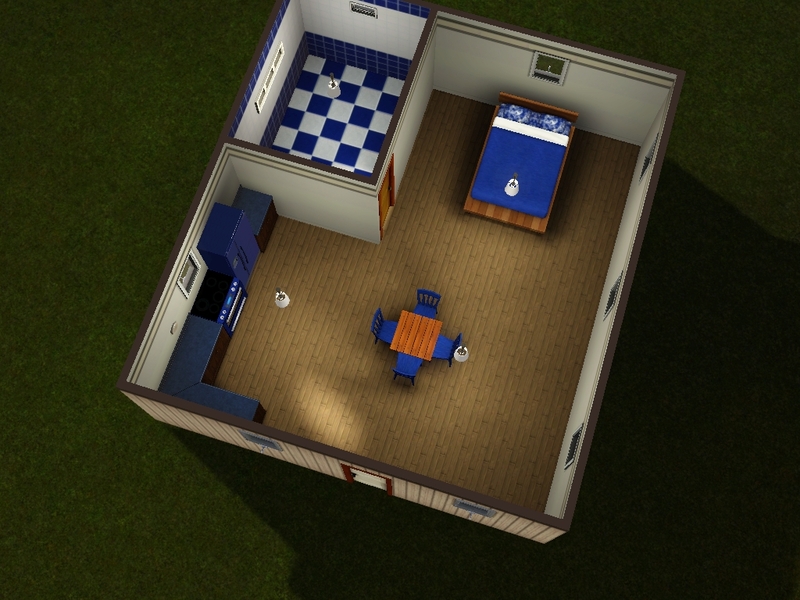 I built this lovely kitchen, a table with enough chairs to entertain visitors, a decent bed, and a lovely secluded bathroom. With not a damn thing in it. So dear Abe, with his toxic armpits came home to eat, shower, and sleep. 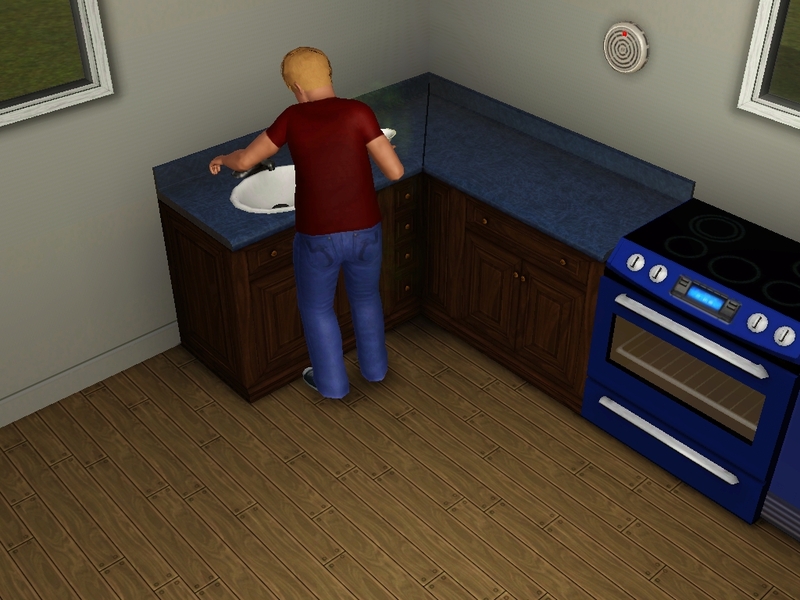 He made a lovely bowl of macaroni and cheese, which I promptly tried to clean up – only to be notified that we didn’t have a sink. And we had eight dollars, which does NOT a sink buy. At that moment, I realized we didn’t have a bathroom. Thankfully he’d tinkled a The Place That Looks Like a Library, but he smelled terrible. So what does every Simmer do? Head to the gym! Meet Blonde Matrix Reject With Weird Mouth. Seriously. Do you see her mouth? I laughed. I did. She fell later too, which was pretty awesome. She has this great voice. So yeah, that happened… Back to the gym! 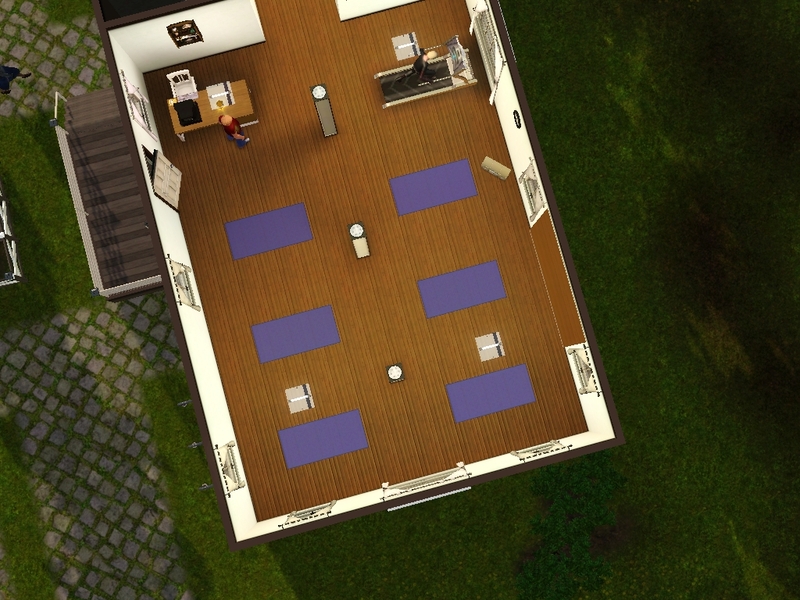 So here’s the rest of the gym. No really, this is it. I made sure I wasn’t missing floors, or secondary buildings, or ANYTHING that might have a freakin’ shower. Nope. 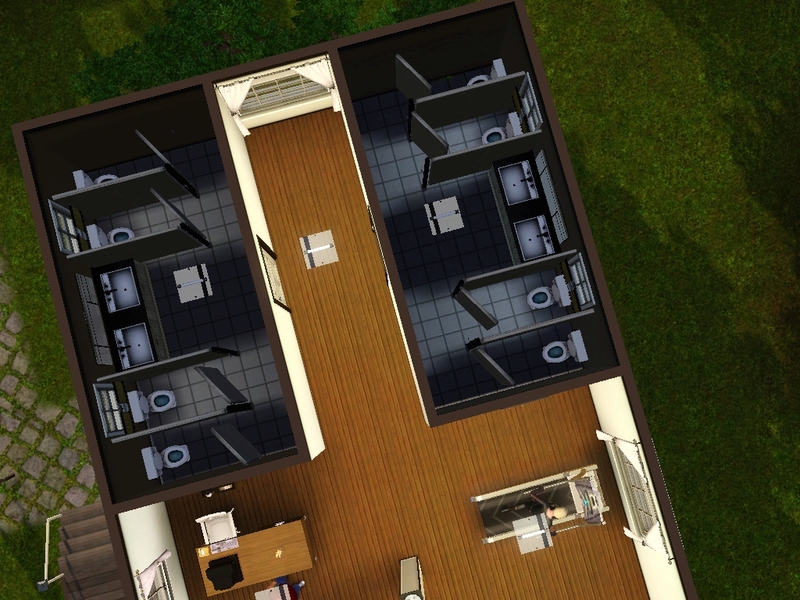 It’s the Sims smallest gym with EIGHT toilets, and no shower. Yes. 60 MILLION toilets, and no shower… Stinky Abe will have to earn enough money for one, or just smell horrible forever. This lovely Sim showed up. I like her glasses, I like her clothes, I like her face. I like her. I wrote down her name, but can’t read my own handwriting. (fail) I think it might be Martina Frimam – but as I type it, I know it’s wrong. Whatevs. Go say hi, smelly chubs Abe. Martina (OMG! Then you’ll smell like flowers! And not toxic waste!) I’m intrigued! Abe: Blah blah moon no one cares blah. Dear ol’ Abe goes home, and we managed to buy a fancy squatters sink, and he cleans up his mac and cheese bowl. Good boy. Hey, Abe picked his own clothes… don’t judge (you should see his swimwear) I just colored them to match his fav, (and removed horrible satan guinea pig slippers) and this is what he wants. I mean, he’s socially awkward. He makes bad choices. (Did I mention his swimwear? We might have to hit the pool just to torture you readers) I also LOVE his sheets. He’s doing alright for a founder – especially a Hates Outdoors founder, since he didn’t have to live on the lawn. I hope you’ll someone will tune back in to see what’s next for good ol’ Abe! 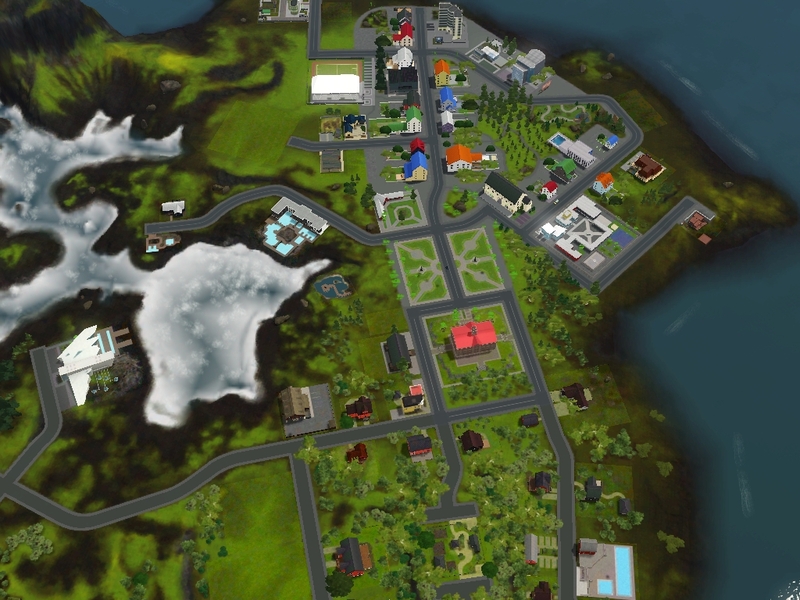 This entry was posted in Generation 1 - A and tagged Abraham Zale, Alphabetcy, Aurora Skies, I'm Surrounded By Idiots, ISBI, The Sims 3, Zale Legacy on 09/01/2013 by Heather. Yay! Thank you so much for stopping by! I hope you enjoy it! I even talk about the Scatterdays in a post! I’m really glad you made it over here! Yeah, Aurora Skies is very beautiful, but it’s not very much fun. Granted I haven’t explored it too much, because I pretty much always stay at the home lot – but I’m going to make an effort to get out there a bit more. Cheers! This looks interesting. 🙂 Awkward founders are always awesome, as well as the clothes that sims pick for themselves (not). I’m intrigued about the swimwear now. Well! Isn’t he a cutie! Starting your legacy as I just noticed you are following mine! 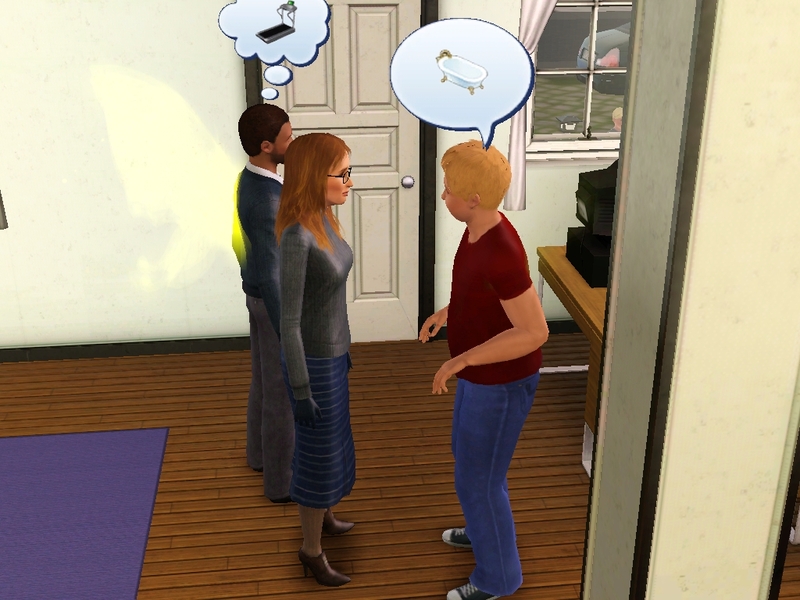 I feel you about the struggle finding a wife…my first legacy (ended due to a glitch) the founder took forever to find someone too. But it’s funny..you always wind up more satisfied in their love life than others. Perhaps because they didn’t end up with the first sim you came across? I’m LOVING your Cultracy. It’s Fantastic! Karla is just now having her third child. I was very grateful when Abe finally found love! Where did you find it if I may ask? Well, I’ve seen you around a few places, but then you and I both were the first people to comment on Jenn’s two year tartiversary so I thought it was high time I clicked on you and checked out your stuff! I’m VERY happy I did! I love how you and Karla have a fun little dialog! Ha ha, you’re funny! Hi! I’m glad you’re reading and enjoying Abraham. 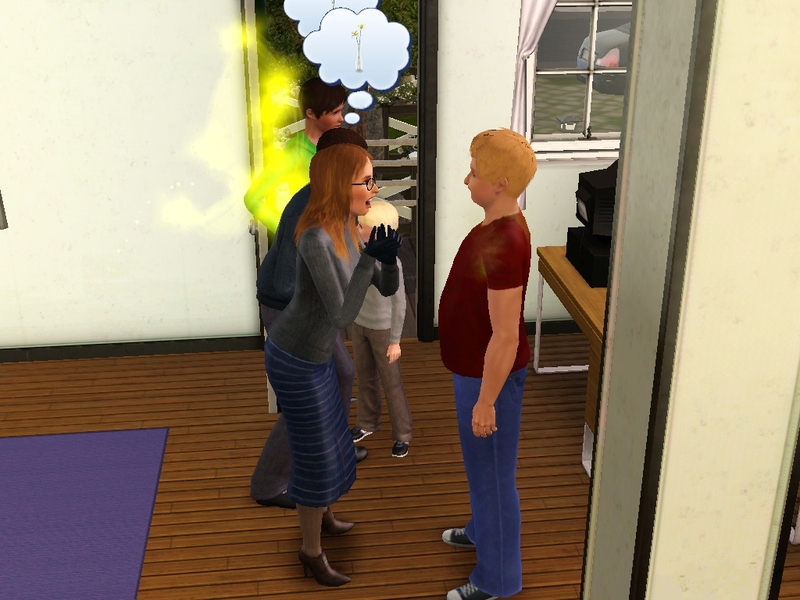 He was a very special Sim! I HAVE gotten pretty far, but there’s a long way to go! I’m still having a ton of fun with it, and I’ve never played a family line this long! So things are already pretty exciting and successful if you ask me! Hi! I’m so glad you’re reading! I was a total noob in the beginning, but I hope you continue to enjoy it! 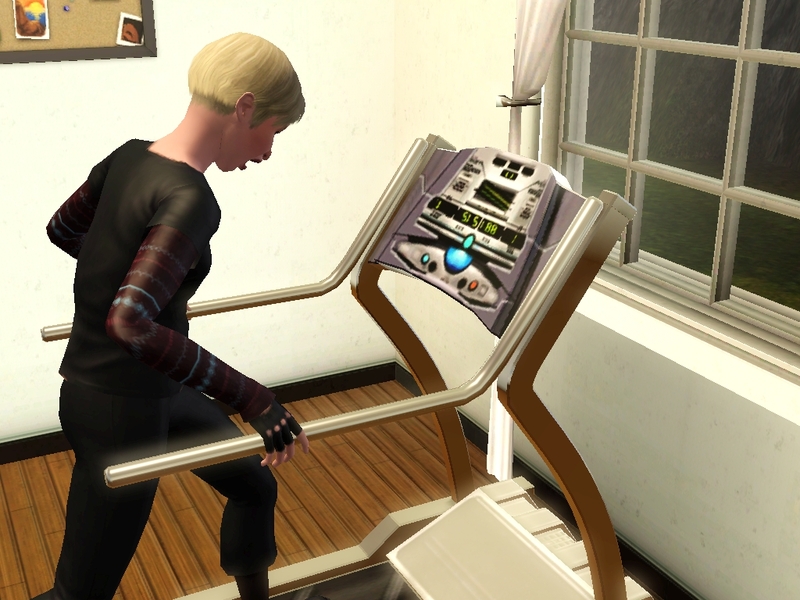 Not only does that gym not have a shower, there’s nothing to it except a single treadmill! BUT, it’s very pretty, so I do kinda still recommend it. Found you through Zefie’s Cultracy, loving this already. Always enjoy a good ISBI, especially one that lasts beyond 2 generations, which you have obviously done. Abe is so adorable! 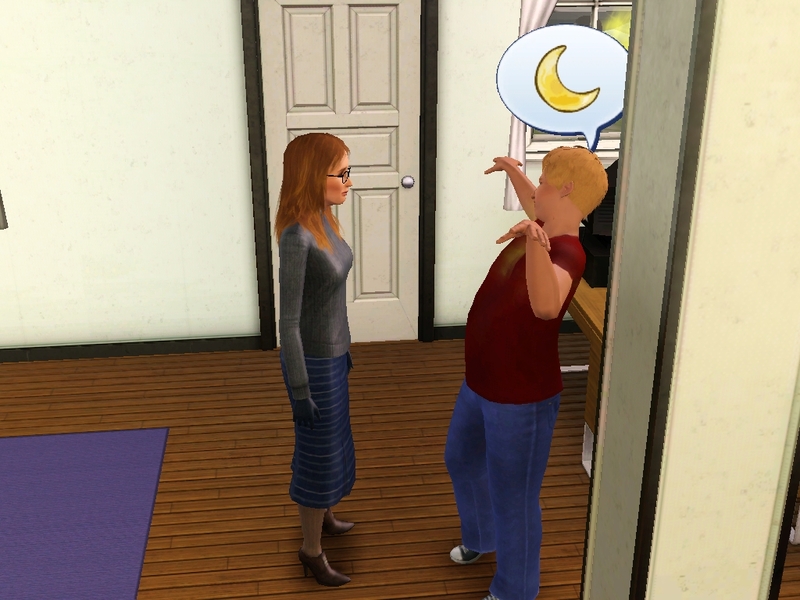 I have to play with some more chubby sims, they’re just so cute. I found you through the word press reader. Interesting start, nice to see a chubby founder. Abraham is a cutie. I have never used Aurora skies though I have downloaded it. It was going to be were my new challenge was going to start, glad I didn’t choose it now. Who makes a gym without a shower?! Check my legacy out if you wanna, I’d love some honest feedback etc. Aw, I like Abe! Great start to the legacy, I hope he meets someone really nice. re-reading for the 100th time and only just noticed that generation A started in a town that starts with A. I’m a freaking genius lmao. “who enjoys falling down” I love Abe so much already! xD And hey look, I found another of your legacies (highly recommended by almost every other legacy I’ve come across)! Hi there! Happy to meet you! I hope you enjoy all the wacky Zales!